The PUBG Global Invitational 2018 will see the world’s top 20 pro Playerunknown’s Battlegrounds teams do battle in Berlin for a share of a $2 million prize pool. 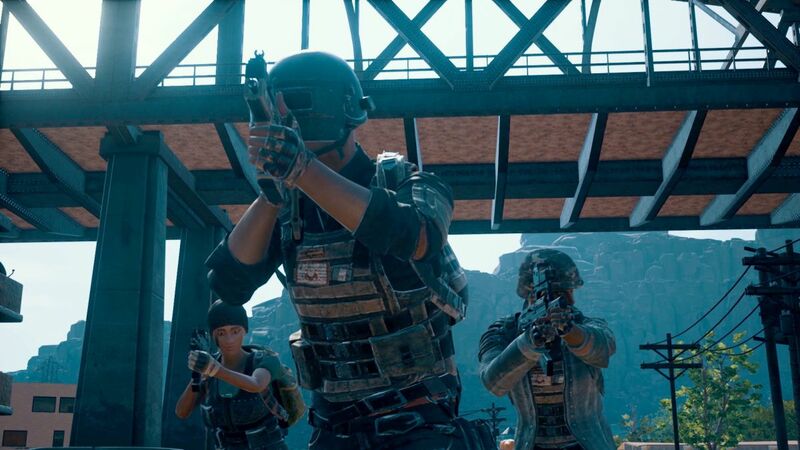 But before that can happen, the world’s top 20 pro PUBG teams have to be sorted out, and for that there will be regional qualifiers in North America, Europe, and Asia. First on that list will be the PGI North America Qualifier, which will put 320 teams from Canada, Mexico, and the US into a bag, shake it up, and wait for three of them to fight their way out. Initial winnowing will unfold over three rounds running May 24-27, which will leave 20 teams to compete in 12 matches during a final round set for June 22-24. All of the 20 finalists will take home a few bucks for their trouble, from $32,000 for the winning team to $2000 for 17th to 20th-place finishers. The top three teams will move on to Berlin to compete in the Global Invitational. At least two players on each competing squad must be legal residents of Canada, Mexico, or the US in order to be eligible to take part, and no substitutions are allowed for either the North American qualifiers or PGI Berlin. (The full rules state that “exceptions can be made for extenuating circumstances,” however.) Competitors must also be at least 18 years of age and are limited to playing in one qualifying tournament, so if you throw down in PGI North America, you won’t be eligible to take part in the European or Asian tournaments. Signups for the PGI North America tournament are being taken now at challengermode.com. Each team that signs up will be assigned a start time which must be confirmed through the site 45 minutes in advance; the first 320 teams to make the confirmation will be seeded. Currently registered teams include OpTiC Gaming, Evil Geniuses, and Team EnVyUs, and slightly lesser-known outfits like Mr Krab’s Wild Ride, Meme Enthusiasts, Cool Guys With Glass, BOO-YAH, and My Little Pwnies. In anticipation of legalized esports gambling, I’ve got $20 on My Little Pwnies. Daddy needs a new pair of shoes!